SO, you’ve met my brow girl. Next up, my hair girl. I worked at a hair salon in high school, and have had a natural interest in color/cuts/styling for as long as I can remember. I am not an expert by any stretch of the imagination when it comes to hair and beauty products, but I am pretty darn good at tracking one down, so I’m going to share mine with you. 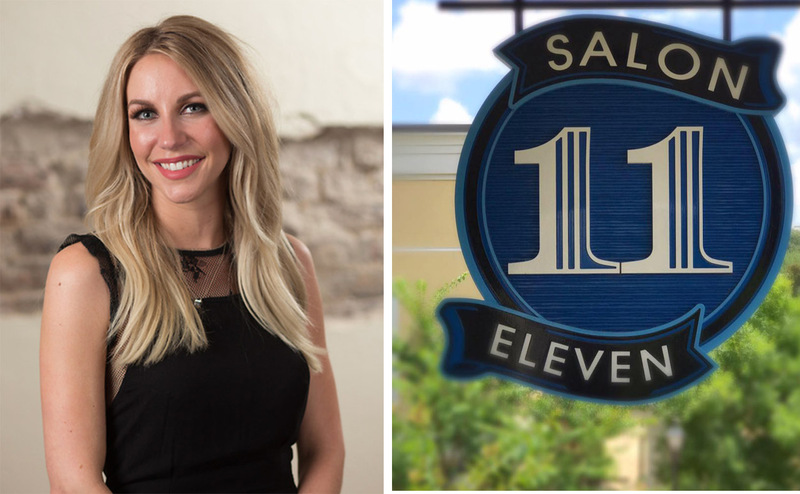 Meet Lauren Bartholet at Salon 11. Hair genius. I adore her. I’ve used her as my hair stylist for as long as I can remember. Yes, even while I was in college… Yes, even when I lived in New Orleans, I drove back to Jackson to have her do my hair. I was one of her very first clients out of hair school, and in my nearly 12 years of using her, she has never steered me wrong. She’s the kind of girl that shoots you straight. You can take her a picture of someone’s hair you saw on Pinterest and she’s going to straight up tell you she’s happy to do that for you, but just know it’s not going to be able to look like that for reason x, y, z. I mean, can I get an amen? I can’t tell you how many times I’ve sat in her chair and said “I don’t know what I want you to do with my color, but I trust you.” She knows I don’t do brassy. I like golden highlights that take using color + a toner. I don’t want any blonde. And don’t even try a red tint. She just knows, and I think a hair dresser that knows you and your style is a very, very valuable thing — and something worth paying good money for. It’s also extremely nice when new products come out, and she knows your hair type, texture, desired style, etc and can let you know what will work well for you. But do remember, they can’t read your mind. I don’t recommend going in and winging a cut and color with someone you’ve seen three times. I was very particular with Lauren for years, and she’ll be the first to tell you that. Heck, I used to part my hair myself for her to cut it because I wanted it to be exact. Get your hair as healthy as possible. Healthy hair styles better no matter what. Give it a little tease with a comb at the crown. Sleep with your hair in a bun using a loose crease free hair tie to make your styling last longer. If you want to see Lauren, I recommend calling and making your hair appointment at least 6-8 weeks in advance. I see her every 12 weeks, and I make my next appointment before I even step foot out of the door. But I believe with every little strand of hair on my head, she is worth it. 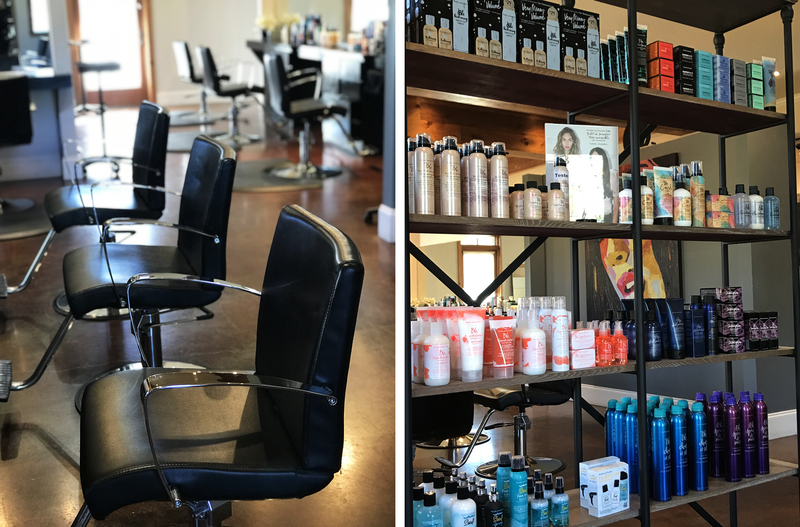 Salon 11 was voted Best Salon in Mississippi, and that’s with good reason. 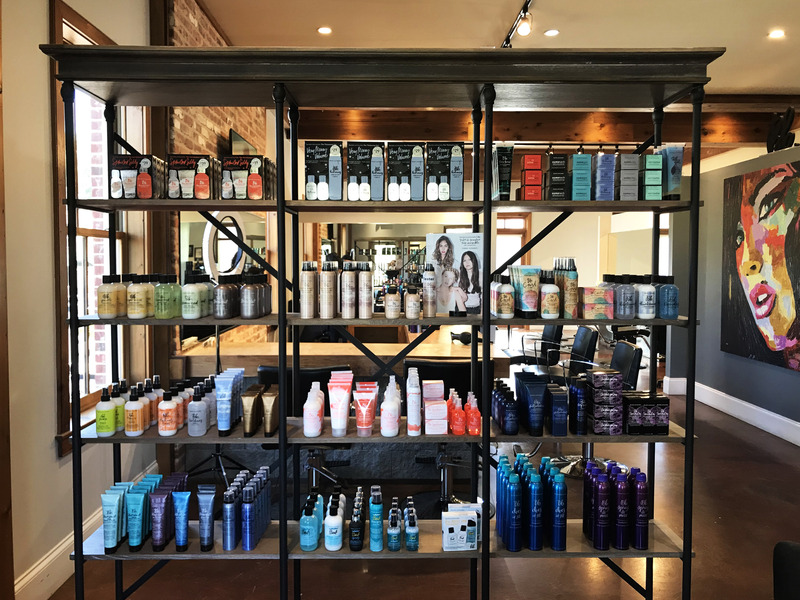 They have an incredible team of stylists, and they also have a blowout bar. So if you’re not great with a round brush and need your hair done for an event, they’ve got a chair waiting on you. So, moving on to how I do my hair at home. I do not ever… EVER.. straighten it. I am a round brush girl through and through. If you want body, straightening it is counterproductive, unless you’re using it like a curling iron. If you’re loyal to your flat iron, then try not straightening the roots so you can still get lift and volume. I also wash it about 2 times a week, and that’s it. You CAN train your hair to be able to do that, and I think using a good bit of product helps keep your hair from getting greasy and dirty looking. I was once an every day hair washer, too. So my hair is nothing special and yours can do it too. It just takes time and stretching it little by little. As far as maintanence goes, I have tons of layers to help me create body, and I get my hair cut and colored every 12 weeks like clockwork. I won’t necessarily need length taken off every single time, but I always need my layers freshened back up so that it styles well. If you’re wanting volume and body, I find that’s really hard to achieve with hair that is nearly all the same length. As I mentioned above, I wash my hair about 1-2 times a week. When drying it, I get it almost completely dry before I even start using the round brush. If you’re starting off with a sopping wet head and a round brush, you’re going to be there a while, and it will be a very long process. Once my hair is nearly dry, I then start sectioning off starting with the very bottom layer. The smaller the sections, the more body your hair will have. I typically do larger sections to round brush the bottom layers, and then I do smaller sections on the top of my head for added volume. If it needs to be freshened up between washes, I throw in some dry shampoo listed below and run my round brush back through it with my hair dryer on high heat or I use a curling iron/wand to throw some movement in it. When it comes to products, I do think some are worth paying more for (and most of the products I feel that way about are straight product recommendations from Lauren.) BUT, I have tried a heck of a lot of products and some of my very favorite are drugstore brand. My everyday shampoo + conditioner, voluming mousse (I haven’t tried the B&B one Lauren recommends, but that will be happening and I’m sure it will be a favorite), and hairspray all come from Kroger or Target. Above you can click the “Shop My Favorite” and then “hair products” to see all of these products again as this post gets pushed down, but here is my arsenal. They’re also linked below the list. John Freida Touchably Full Shampoo + Conditioner for Color Treated Hair / $6.99 a piece – if you’re going to pay for the color, make sure you’re using products that keep your hair color rich for as long as possible. Tresemme 24 Hour Body Foaming Mousse / $4.99 – as a girl that loves big hair, you better believe I have tried quite a plethora of voluming products, and I typically always come back to this one. I start with it at the roots and then work it through all of my hair before round brushing. If you’re an air dry kind of girl, this is not for you. 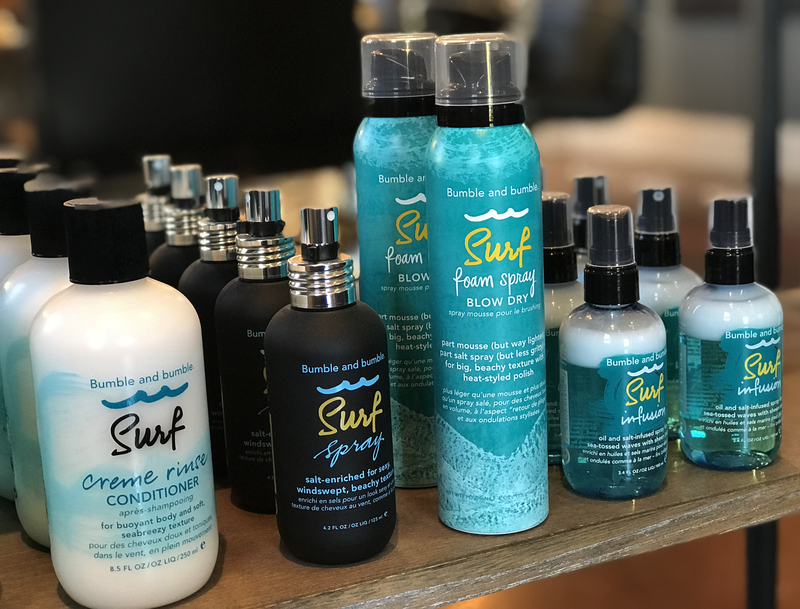 Bumble & Bumble Surf Foam Spray Blow Dry / $30 – Now this right here is worth every penny of $30 to me. It is described as being “Part mousse (but way lighter), part salt spray (but less gritty) – for big, beachy texture with heat-styled polish.” And, I would have to agree with that. It is REALLY amazing if you like a lot of body and want to thicken your hair. I typically put it in with the Tresemme mousse when I round brush my hair. Again, this is not for you if you let your hair air dry. I buy mine locally at Salon 11, but if you want to order online you can do so at the link below. Bumble & Bumble Prêt-à-Powder Dry Shampoo Spray / $30 – This stuff is amazing. Because this guy isn’t cheap, I primarily use it when I am actually styling my hair for an event or outing (date night/ girls night/ wedding/ etc.) If I’m just washing my hair for the week and will primarily be at home chasing babies, I use the one below. I buy this locally at Salon 11, but there is a link below to purchase online if you aren’t local. TRESemmé Fresh Start Volumizing Dry Shampoo / $5 – This is a really great drugstore dry shampoo. If you’re not into spending a lot on hair products, go get this bad boy. (Although like I mentioned, some are very much worth paying for.) I style my hair about once a week and I put this in as soon as I’ve styled it to help my hair make it longer before washing. I find most dry shampoos work better if you use them before your hair is in need of dry shampoo. I also really like this one because I think it works well on dark hair, too. There’s nothing worse than dark hair that has visible, white dry shampoo in it, ha. Garnier Fructis Style Volumizing Hairspray / $4 – I use this hairspray for a lighter hold. I spray each section after I round brush it and this gives you some hold, but not the feeling like you have hair spray in your hair. You can still run your fingers through it, and it looks very natural. Chi Helmet Head Hairspray / $22 – This does exactly what it says it does. Wherever you spray this, your hair is not moving, girlfriend. So, I recommend you spray wisely and spray once you have your hair exactly how you want it and don’t want it to move. I do this primarily for weddings and special events but it is really great for side bangs, and pieces you need to stay put without pinning. Rusk Speed Freak Hairdryer / $119 – A good hair dryer is very, very important. A key component of styling hair is heat. You aren’t going to get a good blow out with a hair dryer that isn’t getting hot enough. This thing gets HOT, and has a conveniently placed cold button so you can set your curl. I have now had 3 of these in the last 10 or so years. So yes, they last a good while and I think they are worth every penny IF you are doing blow outs regularly. If you’re primarily drying your hair to straighten it or style it some other way, this may not be your best route. Ion Pink Ceramic Anti-Frizz Ceramic Round Brush Size Large / $7 – I really love this round brush. I’ve tried low end to high end round brushes and this has been my go-to for years. I get it at Sally’s Beauty Supply. It’s inexpensive, which is nice considering the heat from my hair dryer eventually warps the bristles of any brush so I would rather not have a super expensive one. I use the large barrel size since my hair is longer, so if your hair is a bit shorter simply size down to get a tighter curl. Pintail Tease Comb / $3.50 – I also get this at Sally’s. It has long and short “teeth” so it teases very well. I prefer this metal end for pulling my hair into sections to tease it. All the sudden, i have several hair products to add to my Christmas list!